Such a heartbreaking story, and unfortunately, a common occurrence in my own backyard. 😦 I know the predators have to eat too, but do they have to look for food in my neighbourhood? 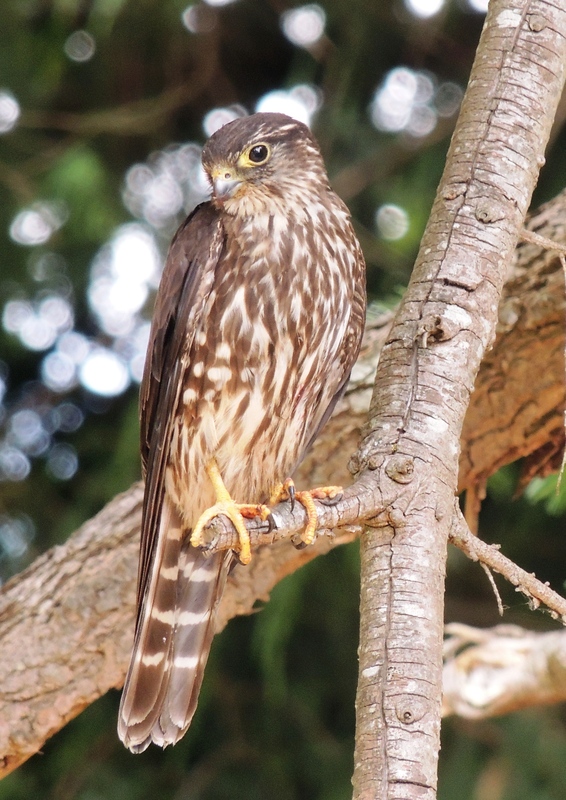 I have these very same merlins hanging around here and they never look like they are sorry. They look annoyed when I try to scare them away. I’ll bet the chorus of birds sounding the alarm really got your adrenalin pumping. Great photos, Anneli. I almost didn’t go for the camera because I was sure he’d fly away, but as it turned out he didn’t even fly when I waved my arms. I opened the patio umbrella and poofed it at him before he decided to take off. My poor little birds!! 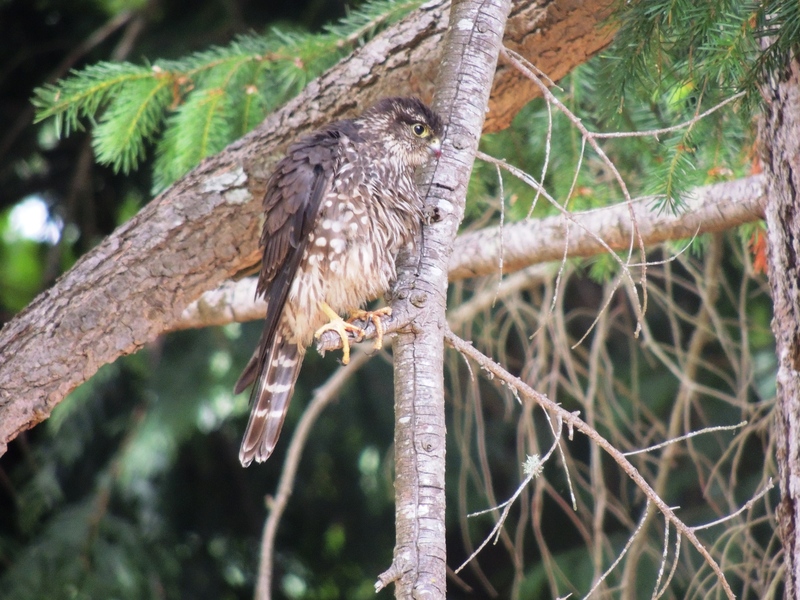 The merlins nested nearby this year and they’re always over here looking for something to eat. Thanks for visiting, Sonja. Oh my, what a sad story!! Everyone was upset! Even the poor hungry predator. For sure the whole mini forest was upset.And me too. And Emma was upset that she couldn’t have the dead bird. Poor little flicker. I couldn’t help but laugh at that picture of the rueful merlin though. So like a rascally dog. I guess I cheated a bit, putting human traits on a bird. But who knows? Maybe he really was sorry. It just sat there. I think it was waiting for a chance to go pick up the bird he killed but the other birds were pestering it so much he couldn’t do it. Meanwhile I got a few pics. You walk outside and just see all this? From my deck, yes. We have a lot of trees and shrubs here. That’s what birds need and I love seeing birds, so we made sure to leave a lot of the big trees and we planted lots of other trees and shrubs. The life cycle isn’t what we would like it to be and those of us who aren’t vegetarians are part of that cycle too. In the natural history of mankind I don’t think they had the luxury of being vegetarians. It was probably more a case of the feeble ones who couldn’t kill any game having to be satisfied with the nuts and berries they found. Glad to hear that you agree, Victor. There is always some sadness at the culmination of a hunt. I think you’ve nailed it. There’s the big difference between hunters and killers. Appreciating the value of the life that has been taken. Oh no! You’re so right! That falcon went away hungry. I hadn’t thought of that. 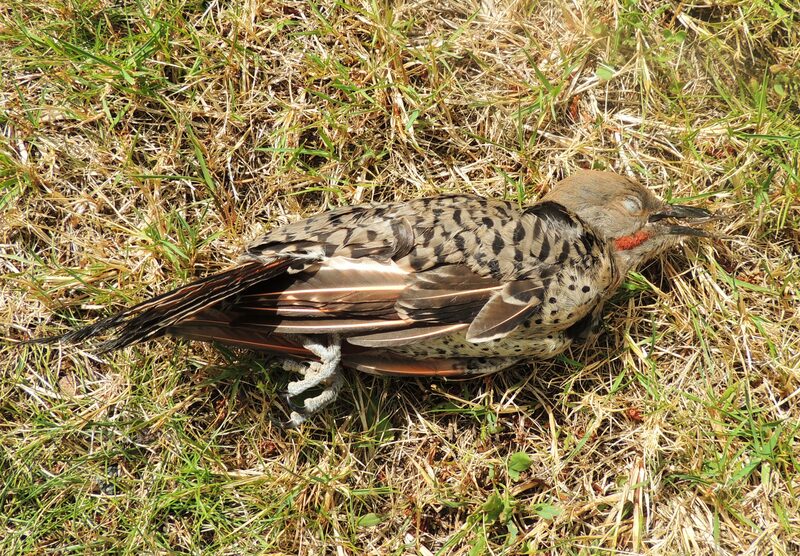 My excuse is that I didn’t discover the dead flicker until I had shooed the falcon away, but I probably would have made that same mistake even if I had known. Stupid of me. I think I must have watched too much Walt Disney. 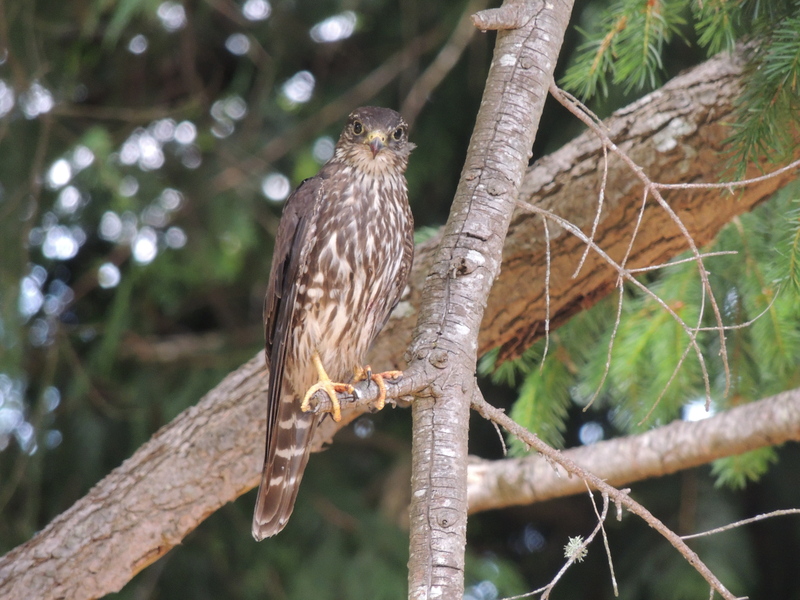 I know in my story sequence, I said I saw the bird and then chase the falcon away, but in fact I was on the deck with the camera, and then later took the dog downstairs and she found the flicker. Nia, so happy to see you here. Welcome. So schöne Fotos, liebe Anneli. Und so eine traurige Geschichte. Hi Martina. Thanks for your comment. Nature certainly has its sad side as well as its beauty. This brought tears to my eyes… and I’m not THAT sentimental. I think you were able to transfer your feelings in the images and the text. It’s a tough one, this applying our values to the animals around us. When I watch nature documentaries, part of me wants the camera operator to put down the videocam and intervene, damn it! Stop that snake for gobbling up the unsuspecting furry thing. Jump in and rescue the injured fawn. don’t just sit there, DO something! But I know that’s not the answer. Doesn’t make it easier to watch, though. Exactly how I feel when I watch those shows too. I keep thinking why don’t they DO something. But Bulldog’s comment is right on. We want to interfere but it’s best that we don’t. But it is hard to watch. There is so much in nature that is cruel, by our human standards, but life and death have to happen, and it’s survival of the fittest. It’s been that way since time began. I know that feeling, trying to save every little bit of a living thing. Life and death is not easy for us to watch with our rose-coloured glasses. Very beautiful pictures!!!! And a sad story. 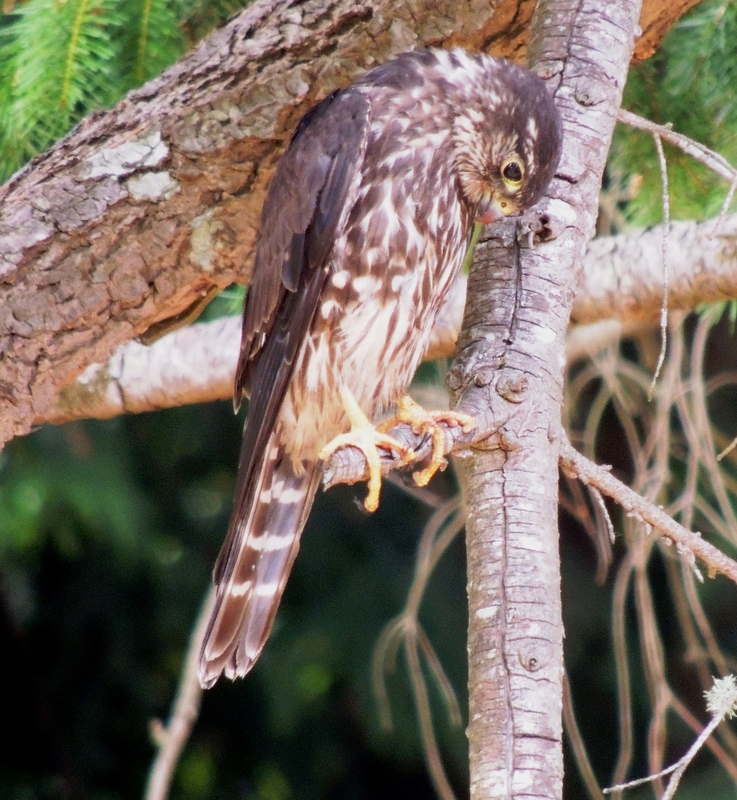 This merlin was not sorry, he was mad that he couldn´t get to his meal. One of them took a little bird which was flying into the window and sat just at my feet a bit groggy. 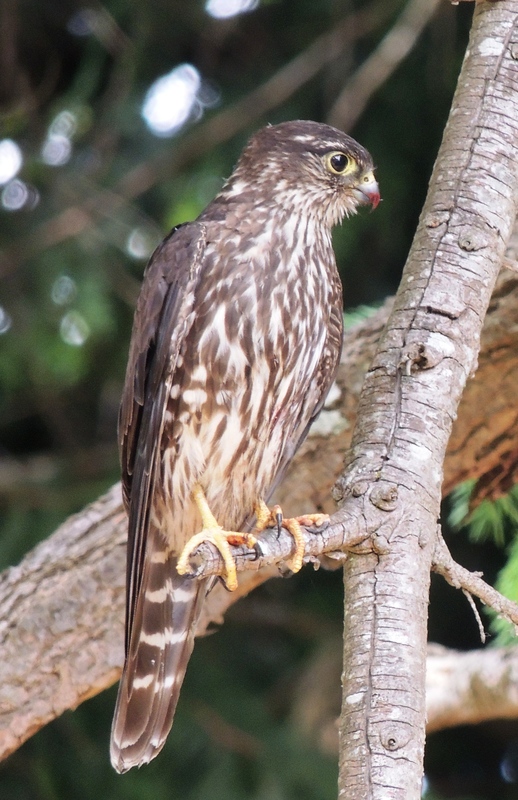 I was going to set it in a safer place but as I reached for it a merlin dove down very fast and grabbed the little poor bird and flew away with it. I had no chance, he was too fast. I was crying after that. There are some cruel things that happen in our beautiful nature. I can imagine just how you felt. Thanks Paula. It is a sad story. That’s life (and death). Lovely story out of an unlovely event! Reality is not always what we would wish it to be. Thanks for your comment and for visiting. I was lucky that day. Thanks. 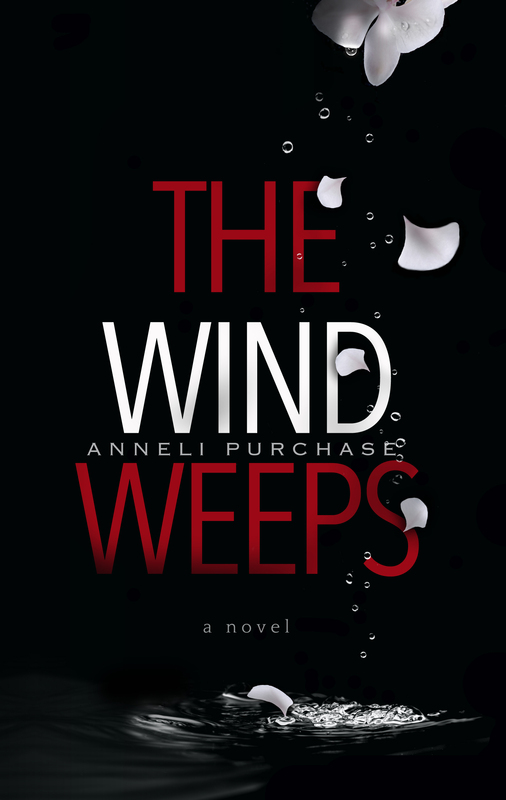 This really was so sad, Anneli! You know what a fan I am of birds. . . 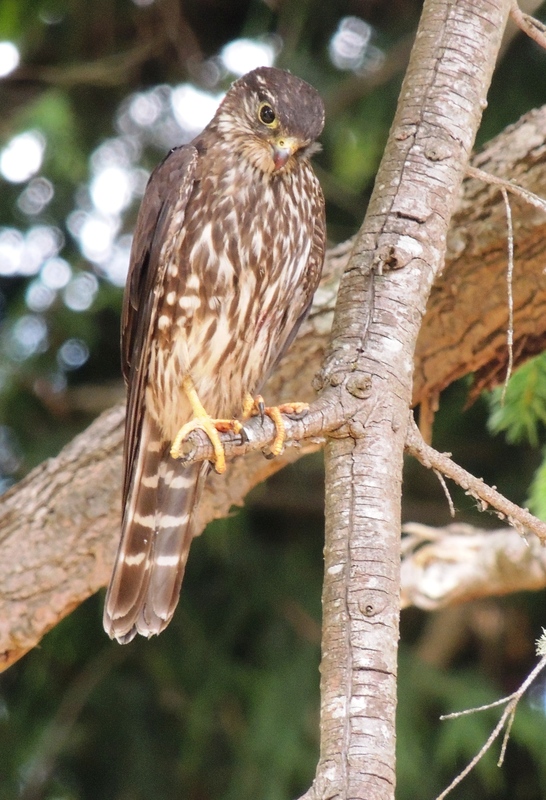 I got teary eyed, especially since one of your favorite birds was the prey. 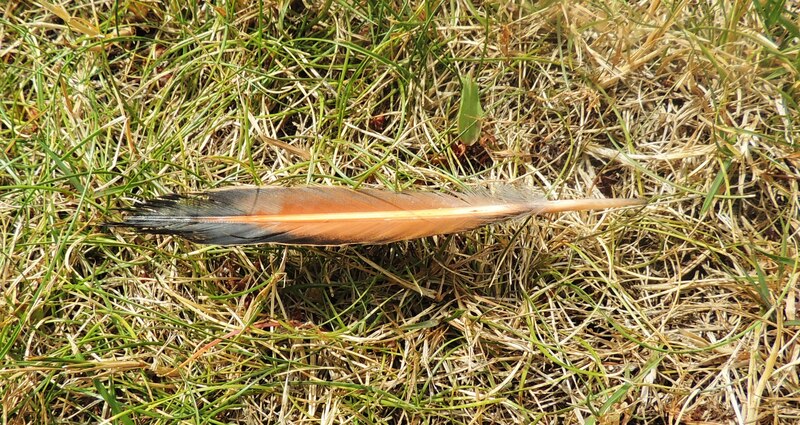 How bittersweet the lonely call of a mother would be, the pretty feather a symbol of its beauty.